Kase was born a healthy, beautiful nine pound baby boy in perfect health. He met all of his development milestones along with his beginning sounds and words. Around 15 months old we noticed a change in Kase. His language wasn’t developing, he wouldn’t answer to his name and he seemed to be in his own little world. We knew right away we had to get some answers. 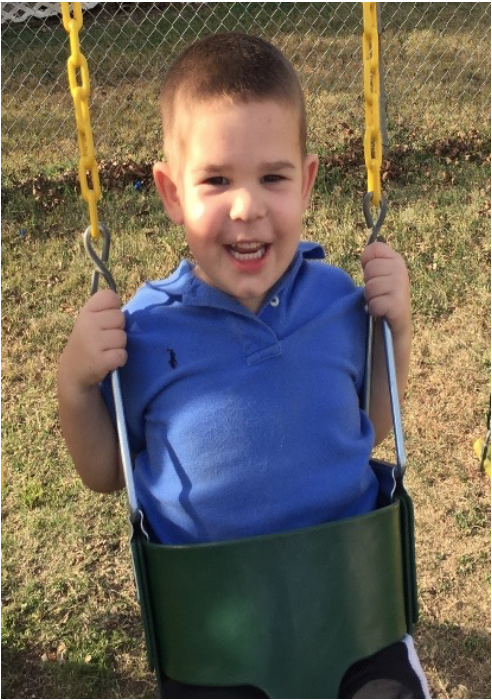 His Pediatrician referred him for Speech Therapy and the journey started. By age 3 Kase was diagnosed with Regressive Autism. Autism affects 1 in 68 children, 1 in 42 in boys. By this time, he had been in Speech therapy and Occupational therapy to help with communication and sensory processing. Around this time ABA therapy was introduced (Applied Behavior Analysis) and we started to catch a small glimpse of our sweet Kase once again. This therapy and principles are used to bring about meaningful and positive changes in behavior. For Kase we started to see him smile and laugh again almost immediately, and there we found hope again. As we researched we found this therapy to be the most expensive, with insurance not covering everything Kase needed to help him have the best chance at learning how to communicate his needs. It was now we became his voice. Communication is the hardest hurdle now and the greatest challenge we have been faced with. It’s a very helpless feeling when your child is trying everything in his little body to tell you just one word. We knew financially we would not be able to afford the amount of therapy that was recommended so we started praying and searching. We found Variety Children’s Charity and applied for a grant to help fund Kase’s therapy. Everyone was so kind and helpful and gave us step by step information to help along the way. We were awarded a grant to help fund therapy and a communication device to help Kase tell us what he needs and/ or how he is feeling! This experience has been life changing for our family and we cannot wait to see the progress and strides Kase will make because of this opportunity!